I heard a little about ‘Triclosan’ earlier. From my little knowledge about it – I assumed as long as I avoid getting products with “Antibacterial claims ” it will not get to me. One fine day I read the label on my toothpaste to see the amount of fluoride it has and found ‘Triclosan’ there. It is just not possible to read each and every label! So thought of sharing what I learnt about this new health threat! Which day to day products has Triclosan? 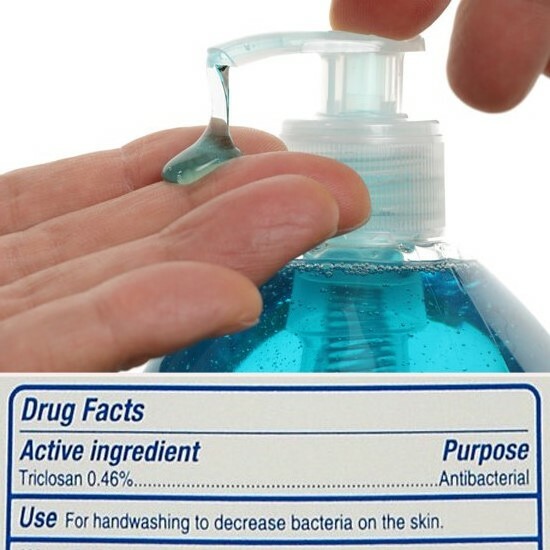 According to the National Library of Medicine, Triclosan is used in soaps, toothpastes, hand sanitizers, shampoos, deodorants, mouth washes, cosmetics, tissues, cleaning supplies and even in hard to imagine products like kitchen utensils, cutting boards, toys, mattresses, socks and trash bags. Do we need to get rid of all the germs that exist? I recently read Dr. Martin Blaser’s book: Missing Microbes- How the Overuse of Antibiotics Is Fueling Our Modern Plagues. Dr. Blaser mentioned in the preface which I truly believe: “For hunderds of thousands of years bacterial and human cells have existed in a peaceful symbiosis that is responsible for the equilibrium and health of our bodies”. Now this equilibrium is under attack from our over reliance on everything “anti-bacterial”. Triclosan is a white crystalline powder added to many consumer products as an innocent antibacterial agent, keeping us safe from germs. The reality is that triclosan is very shady and its safety is under review by the FDA, EU and Health Canada. Triclosan is present in 75% of American households and the CDC‘s exposure report states that the concentration of Triclosan has risen more than 40% in the last two years. Good news is that, Triclosan can be conciously removed from our household. Why not to use Triclosan? While the debate about the potential human and environmental dangers of Triclosan is still being investigated, it has not been categorized as hazardous yet. There are three major issues that gives FDA reason for concerns. Triclosan levels are on the rise in our drinking water and rivers. When combined with water, triclosan produces dangerous chloroform gas that causes liver damage in humans and destroys wildlife in our environment. Avoid antibacterial soap: FDA and multiple research studies suggests that good old soap and water are just as effective as consumer grade antibacterial soaps in preventing illness and removing bacteria from the hands. The American Medical Association says not to use Triclosan at home. Avoid products that may be labeled as “antibacterial,” or make claims such as “odor-fighting” or “keeps food fresher, longer”. Watch out for these names on labels! To remove triclosan from your home and body, avoid triclosan and its alternative names. In personal care products: look for Triclosan and its alternative names: Irgasan DP-300, Lexol 300, Ster-Zac, Cloxifenolum, triclocarban. 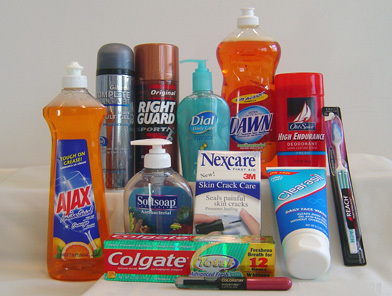 In plastics and clothing: look for triclosan and its alternative name Microban. In acrylic fibers: look for triclosan and its alternative name Biofresh. Stay informed and green your routine to what fits best for you and your family.